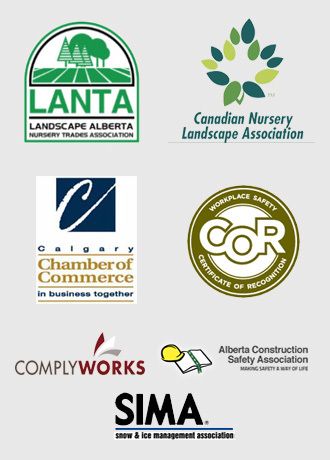 At Mirage Landscaping, we have been gardening in Calgary for three generations. 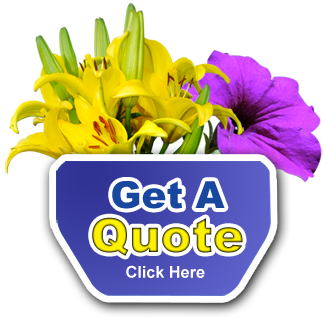 In addition to landscape design, construction, and maintenance for our many commercial and residential clients, we install flowerbeds and gardens every growing season. It’s great to watch things grow, and the health benefits from being outside are innumerable. 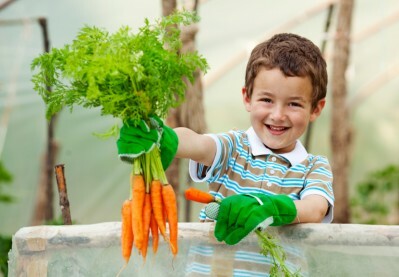 If you have children that you would like to introduce to gardening – and keep interested – there is no time like the present for them to get started. No kid doesn’t enjoy mucking about and getting dirty. Though it is too early to get very in depth scientifically about what you are doing, introducing toddlers to gardening is still a worthwhile effort. Explain that the garden is important. That you are growing wanted plants that smell and look pretty or are good to eat, and that when they are growing that they should not be mistreated. Let your child use a plastic shovel, or old spoon, and a pail to do a little light earth moving in order to plant seeds together. Begin to teach the difference between weeds and plants. For a special treat, choose a flower or a vegetable with fast germination and subsequent growth to plant. A blooming flower or a baby carrot is much more interesting to young children than waiting all summer for something to emerge. Whether a flower or vegetable garden, there are lessons on planning, preparation, hard work, persistence, perseverance, ecology, and environmentalism to be learned in the summer months. The best way to keep school aged kids engaged in gardening in this electronic age is to give them ownership. Designate a patch of ground for their exclusive use. It need not be large, just suitable for as easy growing conditions as possible. Ownership puts you in the consulting business. Steer your novice gardener towards growing a vegetable that they, or the family enjoys, one that is hardy and fast growing. And hearty annuals are always a joy. And perennials are a great way to teach that tender loving care will make things come back the next year. To further engage a child, don’t make them borrow everything from you—kit them out. This need not be drastically expensive. Some cotton work gloves, a plastic hand trowel, a weed popper, a plastic watering can, and their own sun hat are all relatively inexpensive items that encourage a child to fully “buy in” to the growing effort. If you want a “head start” on getting your children interested in gardening, contact us for a free quote on any project you can imagine. We are also available for spring clean-up services so that you can get to your gardening without worrying about clearing out winter debris first.